Apartment at 34 Columbine - Randburg Accommodation. The luxury 4-star apartment is situated in a very quiet picturesque suburb of Randpark, within walking distance of the Randpark Golf Club. The Apartment is a double story self catering fully equipped with linen and towels. It can sleep 4 persons. Downstairs it boasts an open plan kitchen - equipped with dishwasher, microwave, fridge opening on to the dining room area, a bathroom with guest toilet and shower. The lock up garage for one car has direct access to the apartment. Situated upstairs are 2 well appointed spacious bedrooms, the main bedroom has a queen double bed and the second room has two three quarter beds, a luxury bathroom with bath and shower, basin and bidet. The lounge area opens onto a balcony. It is equipped with TV, DStv, mini hi-fi and DVD player. Wireless internet available. The apartment is well situated within 3km of one of the biggest shopping centres in South Africa, Cresta Centre, 20 minutes from Sandton City South Africa's finance and banking hub. 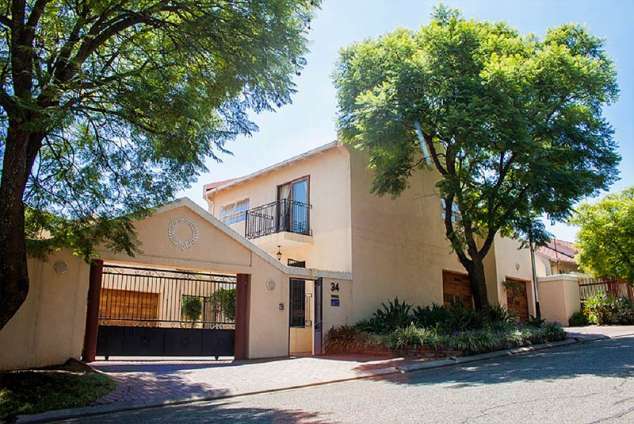 It has easy access to central Johannesburg, Rosebank and Roodeport. Within 30 minutes from JHB International airport and has easy access to the N1 highway which links Johannesburg, Pretoria and is the Durban highway. The apartment is situated 2km from Rhema Ministries Church, +- 9km from Coca Cola Dome in Northgate, +- 25km from Lanseria Airport. The Apartment is ideal for golf enthusiasts, or business men who want to get away from the hustle and bustle of city life after work. It also is ideal for tourists who want to have a South African living experience. Stairs: unsuitable for very young children. 22209 page views since 14 Nov, 2006.